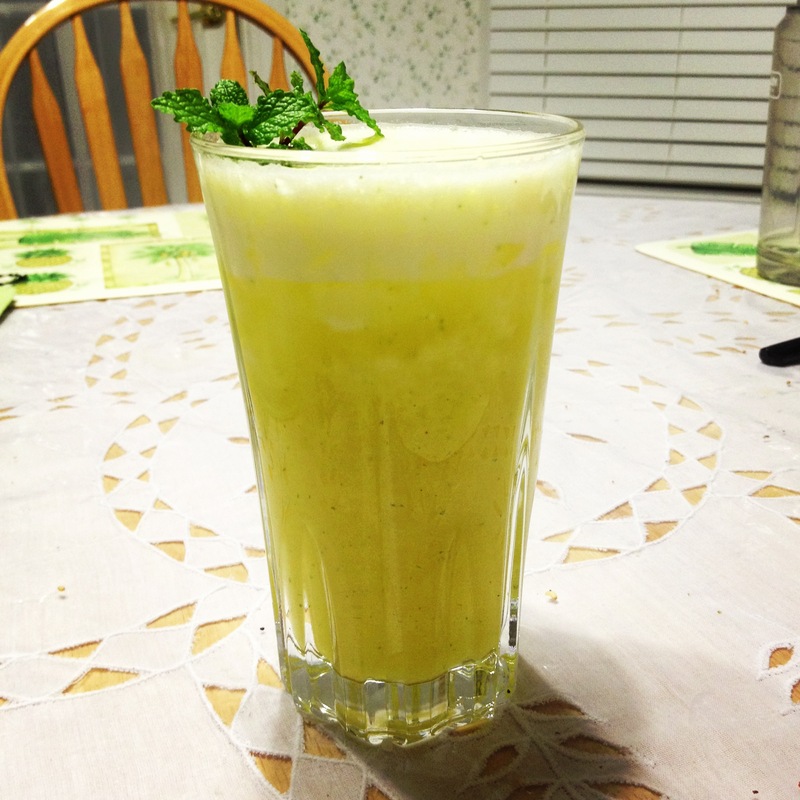 Recently, I rediscovered my favorite drink the whole-wide world, Pineapple Mint drink. This would be the drink I would choose to drink for the rest of my life, if I had to choose such a thing. It only takes two simple ingredients: fresh pineapple and fresh mint leaves. All you have to do is put all the yumminess into a blender and blend it up. It is so simple, yet the best thing in the world. Whenever I visit Brazil, I make sure to order this drink at every restaurant. "Um abacaxi com hortelã, por favor"